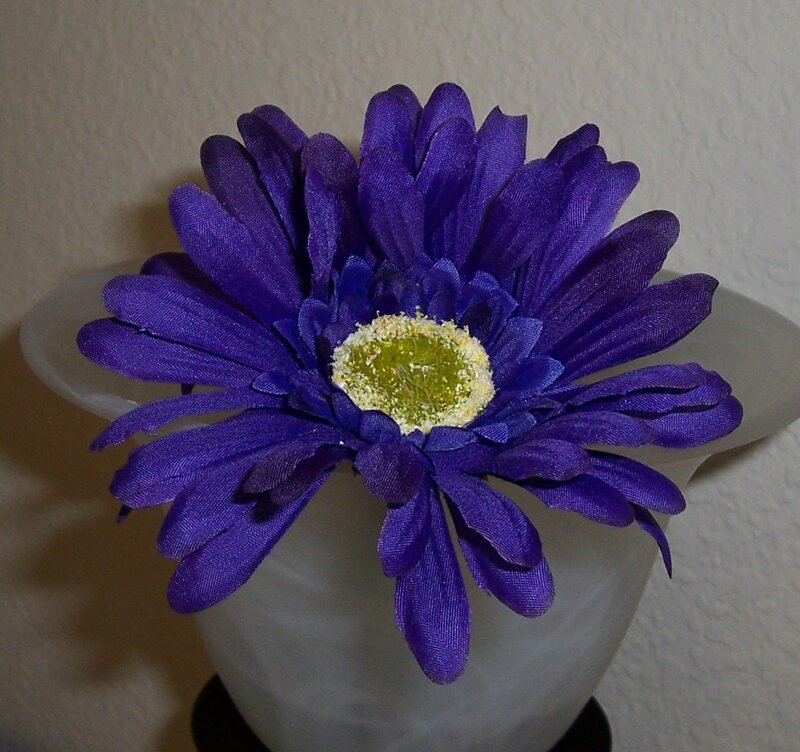 Purple Gerbera flower sits atop a Bic stick pen. These 4" 'silk' flowers will make you smile! Order here if you want a DOZEN Purple flowers only.